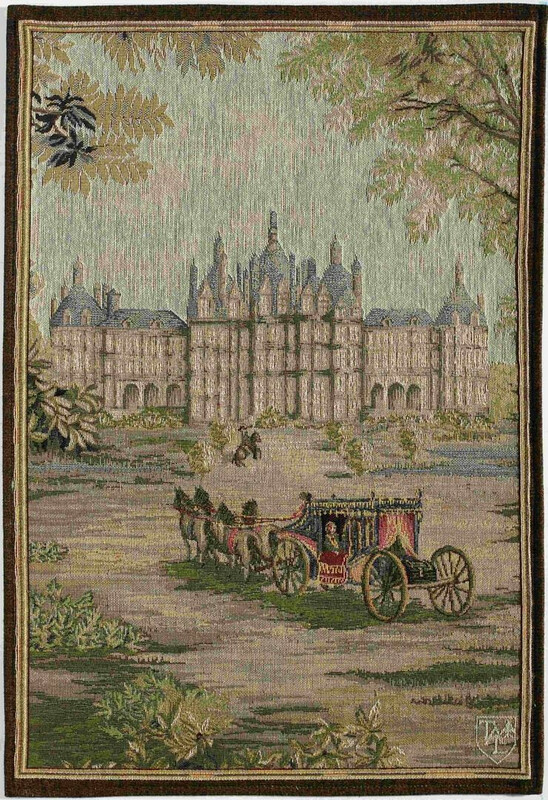 This jacquard wall tapestry is an extract from a series of tapestries called “Royal tapestries” by C. Lebrun. 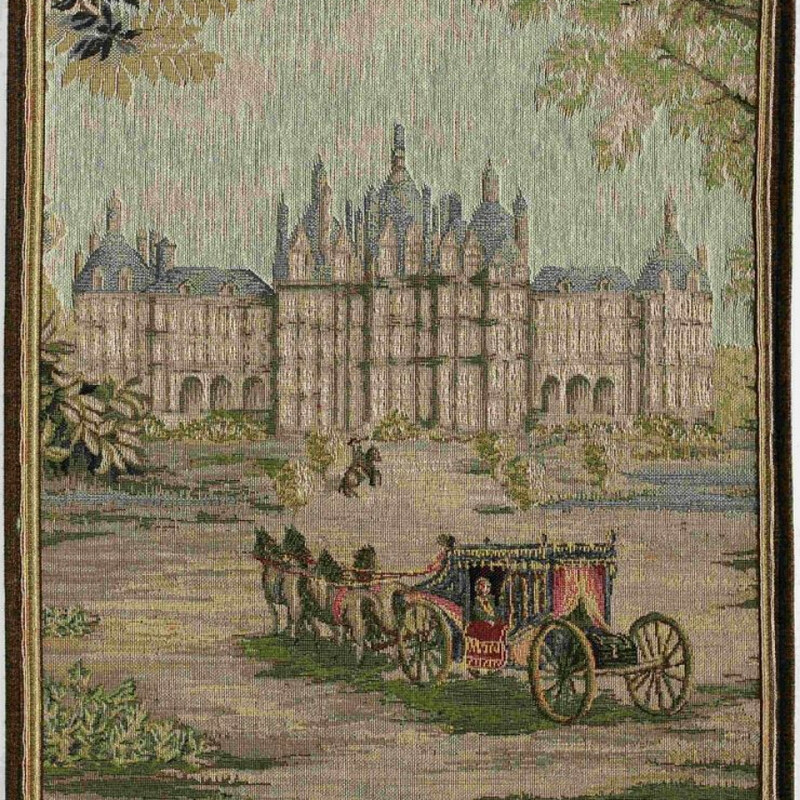 It shows the Chambord castle and is woven in wool, it is lined with a plain beige cotton fabric and has an integral sleeve for hanging. It comes with the "TISSAGE D'ART DE LYS" certificate.